Samsung India has announced today Galaxy A20, which is its fourth smartphone in the Galaxy A series this year. The Galaxy A20 comes with dual rear camera with an ultra-wide lens, next-gen Infinity-V display and a powerful 4,000mAh battery with fast charging capability. 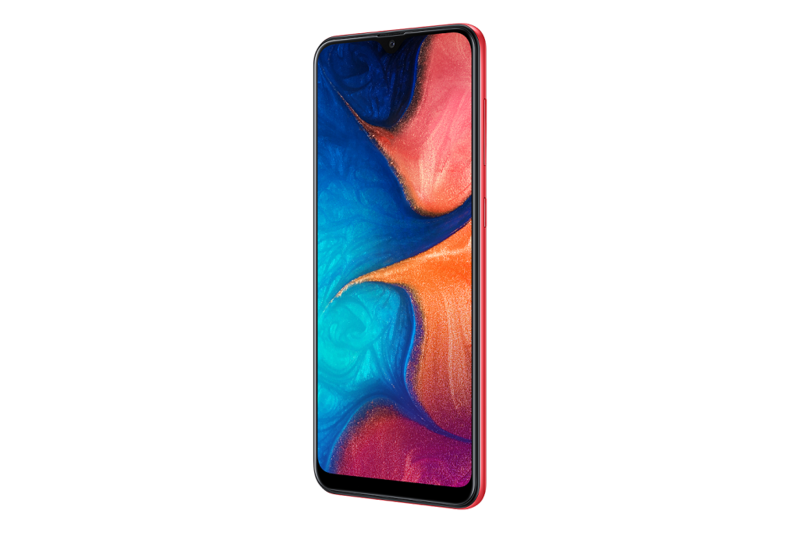 The Galaxy A20 is priced at INR 12,490 and comes in three colours- Red, Blue and Black. 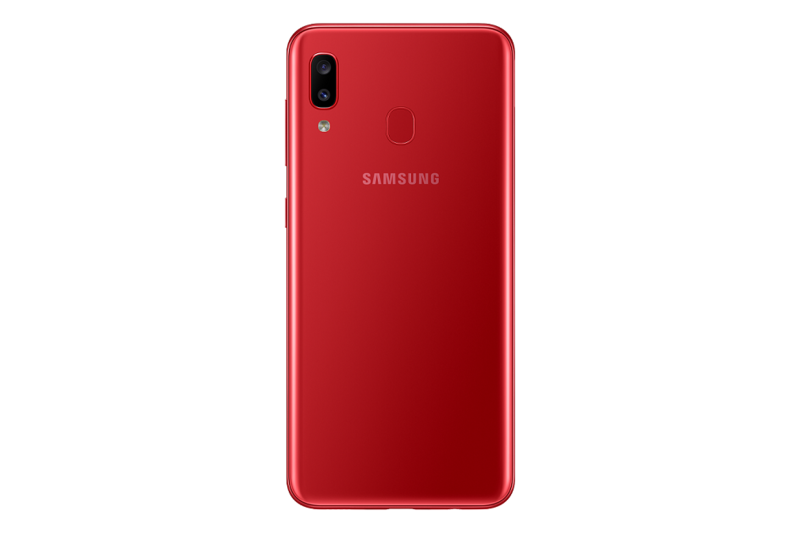 It will be available starting April 8th, 2019 on the Samsung e-Store, Samsung Opera House, leading e-commerce portals and retail stores across the country. Galaxy A20 sports a 6.4” HD+ (720×1560 pixels) Infinity-V Super AMOLED display. This phone is powered by an Exynos 7884 Octa-core processor combined with 3GB RAM and 32GB of internal memory which can be further extended upto 512GB via microSD card. This phone comes with dedicated dual SIM and microSD slots This phone is packed with a 4,000mAh battery with 15W fast charging with USB Type C connectivity for fast charge. This phone is equipped with 13MP primary camera with f/1.9 aperture and a secondary 5MP ultra wide-angle camera with f/2.2 aperture. For selfies, this phone has been provided with an 8MP front camera with f/2.0 aperture and fixed focus. For security, this phone comes with fingerprint sensor on the back. This phone runs on the latest Android Pie and Samsung One UI on the top. This is Dual 4G VoLTE supporting phone and also offers connectivity options of Wi-Fi 802.11 b/g/n, Bluetooth 5, GPS + GLONASS. Commenting on the launch, Aditya Babbar, Director, Mobile Business, Samsung India, said, “As a global technology leader, we are committed to provide meaningful innovations to our consumers. Galaxy A20 allows consumers to do more with its brilliant camera with Ultra-Wide lens and Samsung’s proprietary Super AMOLED technology which brings the display alive. Galaxy A20 will help Gen Z consumers capture brilliant images and videos and let them binge on their favourite content. Additionally, the massive battery with fast charging capability and USB Type C connectivity ensures that consumers can easily power through the day and night on Galaxy A20”.